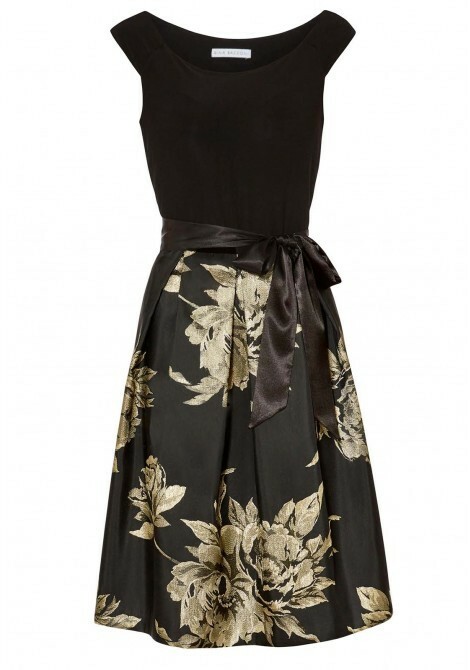 Look chic and stylish in this jersey and jacquard dress. 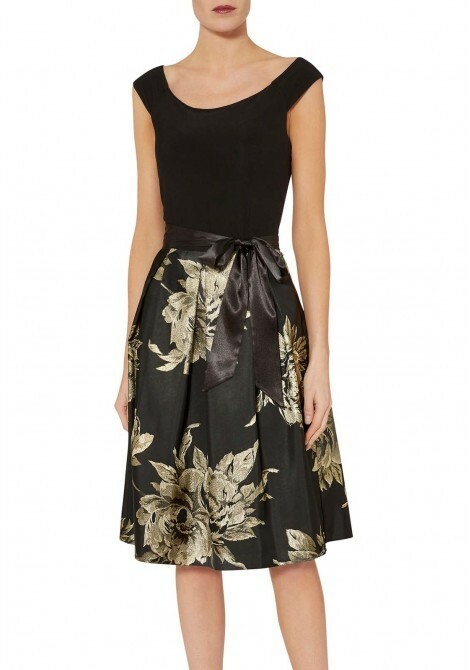 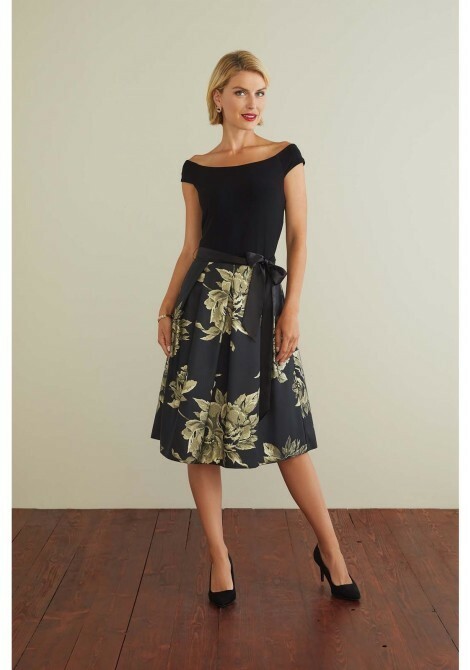 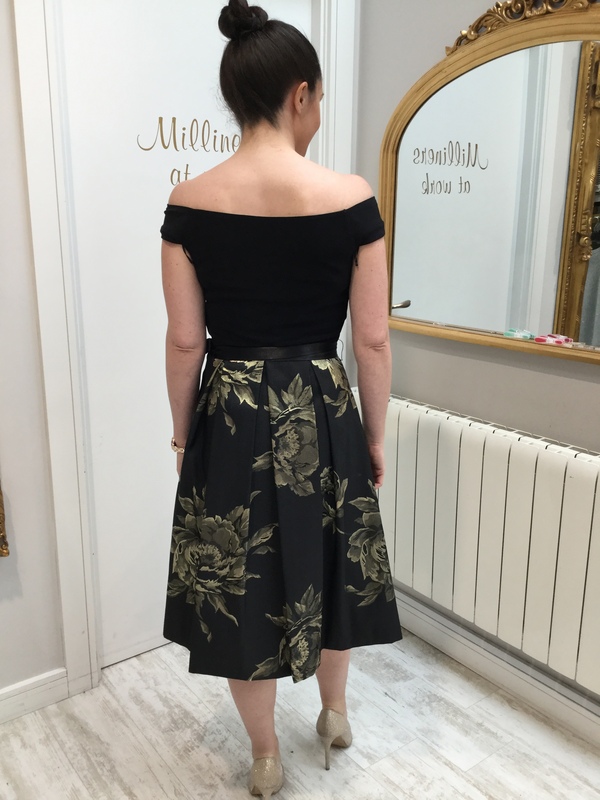 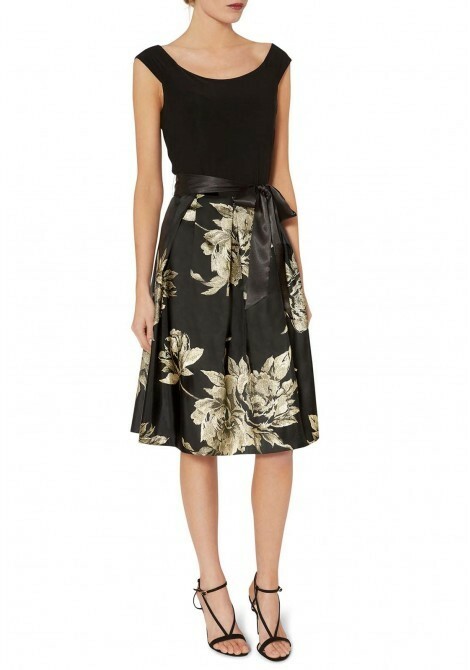 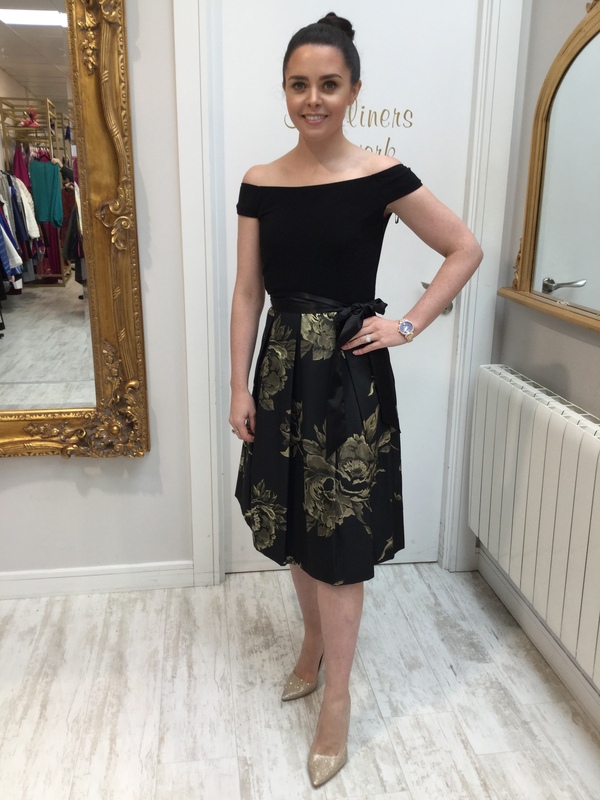 It features round neckline and a soft jersey bodice contrasted with gorgeous floral design in black and gold jacquard a line skirt. 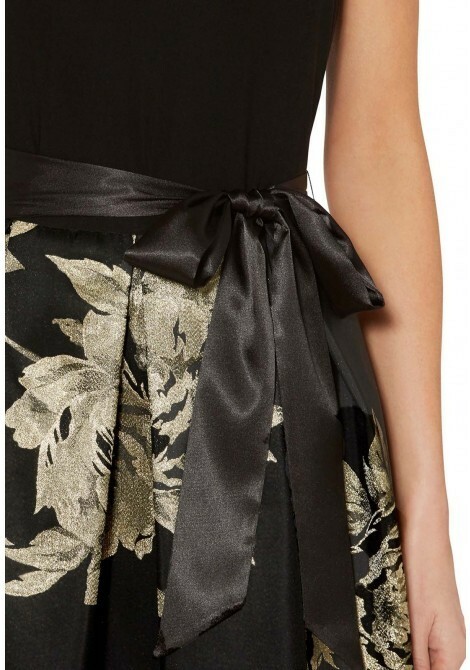 The dress has a ribbon style belt detailing that flatters the waistline gorgeously and is fastened with concealed side zip.